You want to impress someone special with something special? 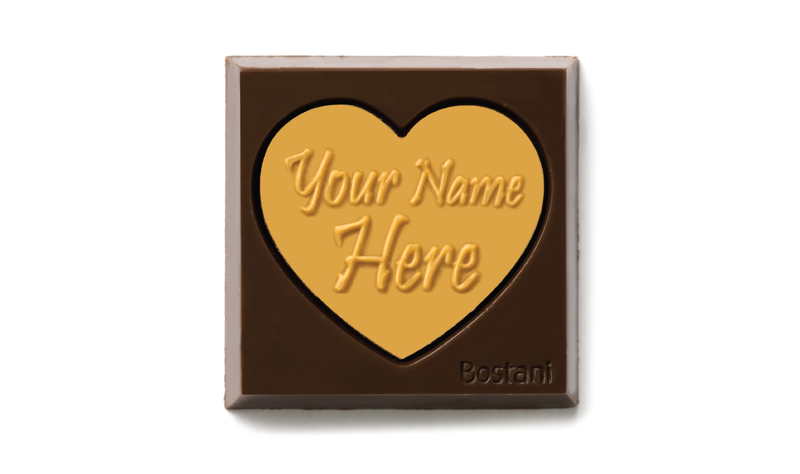 Bostani give you an opportunity to do that with our square dark chocolate with a heart to write your feelings on it and color them with our given choices. We say Red is the best color for it. © 2017 Bostani Chocolatier Inc. All rights reserved.